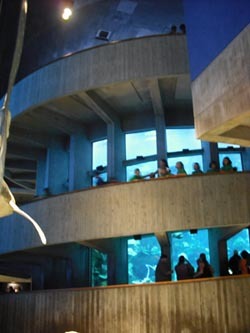 Informative and entertaining live animal presentations happen at the Aquarium every day. During your visit, you can watch fur seals interact playfully with their trainers, turtles eat right from divers' hands, and penguins eagerly eating delicious treats. Live animal presentations allow visitors to get up close and personal with their favorite aquatic animals.